A crowd of about 500 people attended a public meeting in Hove addressed by the UK Independence Party leader Nigel Farage. Mr Farage, an MEP for the South East England constituency, which includes Brighton and Hove, praised the audience for “running the gauntlet” of about 50 protesters outside Hove Town Hall. And about a dozen people were ejected from the meeting after jeering and chanting as Mr Farage tried to speak. On Thursday 2 May, he said, at the county council elections: “UKIP produced a result that has shaken the lazy consensus politicians to their core. “People said that they were worried that if they voted UKIP they might let somebody else in. “But at the county council elections if you voted UKIP you got UKIP in a lot of those seats. “Instead of playing the ball he played the player. He called us a bunch of clowns. “We ought to institute an annual Kenneth Clarke prize. Mr Farage said that after the elections the Prime Minister David Cameron and his team had given UKIP another boost. He said that instead of Downing Street turning on UKIP they turned on their own supporters and donors and constituency party chairmen and called them swivel-eyed loons. He criticised the front-bench teams of the three biggest political parties, saying that they had mostly been to a few schools and a couple of Oxford colleges where they studied PPE (philosophy, politics and economics). He said that they had gone to work as political researchers. They married each other’s sisters. They hang out together at weekends. And they’ve got no hobbies apart from politics. “None of them,” he said, “has ever done a day’s work in their lives. “The political weather in this country has changed. “You have been denied for far too long a referendum on the most important constitutional question facing this country for 300 years. One questioner challenged Mr Farage about race, immigration, the British National Party (BNP) and the English Defence League (EDL). He said: “The BNP are anti-European. In UKIP we want Britain to divorce the EU but be good neighbours with good trade relations. He said that the BNP was authoritarian while UKIP was libertarian and wanted smaller government. He said that the BNP limited its membership to people of Anglo-Saxon or Caucasian origin. He said that his party constitution barred people from joining if they had previously belonged to an extremist racist party. Nigel Furness, from Hove, asked about the housing crisis in particular for those needing social housing. Mr Farage said that the right to buy policy, which led to millions of people buying their home from the council, had been a brilliant policy. He blamed open-door immigration for adding to the housing crisis and said: “We do gave a chronic shortage of housing. Before Mr Farage arrived, the chairman of UKIP in Brighton and Hove, Nigel Carter, encouraged the audience to join the cause. He urged people to help UKIP fight the European elections next year and the general election and local elections in 2015. 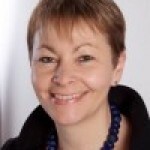 Mr Carter stood against Caroline Lucas in Brighton Pavilion at the 2010 general election. He self-deprecatingly excepted himself. He said: “On the doorstep, we’re often asked to sum up what we stand for in three or four words. I’d say Australia with the NHS. “Some people think we’re far-right racists. Nothing could be further from the truth. Mr Carter spoke about the hard lessons that he learnt during the election campaign. He said: “There were 42,000 homes in the constituency. We only managed to leaflet 16,000 of them. He said that members had delivered 25,000 leaflets over the past three weeks to promote Mr Farage’s visit. And he added: “We are targeting all three seats in Brighton and Hove but we’re effective in only half the wards. “The purpose of this meeting is to help us find out who our supporters are. Fewer than half the audience were party members but the Nigels were warmly received by all but a handful of those present. Next week the party formally starts its campaign for next year’s European elections. Well written account of last night’s meeting. The protestors were childish. They were offered a chance to sit quietly and listen then ask questions at the end. Instead they kicked and screamed and had to be carried out. Just a question about the broadcast on channel 4 on Sunday night. Why on the Ukip website and others, has it been edited (censored) to exclude the part where lady says that only the English should be allowed to vote in a referendum. While explaining how they were not racist, he said ‘that’s why we don’t we’re not so keen on gay marriage.’ Like all parties, they will say whatever they think will get votes. Last night was the first time I had listened to Nigel Farage “live.” I came away thinking this was the first statesman this country has had since Churchill and Thatcher. I am a UKIP member and am proud to be part of a liberal-democratic party that stands for freedom of choice and speech. The protesters seemed to be made up of hard left fascists who wanted to shut down the meeting and to force the audience to feel uncomfortable and even angry. But liberal-democracy triumphed and Farage continued setting out his vision and providing answers to a wide variety of questions. UKIP are the future and it was reassuring to see more young people including a very young college aged man signing up for membership at the end of the meeting. Opposition to gay marriage is one reason why UKIP will not win any seats in Brighton and Hove but it won’t stop them taking votes from the Tories in particular. Mike Weatherley and Simon Kirby have every reason to fear a UKIP candidate. UKIP took a seat in Simon Kirby’s constituency in the Peachehaven and Telscombe Towns division at the East Sussex County Council elections last month. Some of their supporters locally, as shown last night, are drawn from disgruntled elements within the Labour Party. Not everyone who left Labour went to the Greens. Nigel Farage is a plausible front man with a sense of humour and at least he tells it straight. Cameron and especially Miliband seem evasive by comparison. Those around are largely worse. The point about the lack of democracy in the EU resonates widely because it’s true. The bigger the organisation the harder it is to operate democratically. The Swiss do it fairly well as do some American states. The European elections next year offer UKIP their best platform to date. Last night showed that they are ready to take advantage of the traditional parties’ contempt for the voting public. There were a lot of people who do not belong to UKIP but who were willing to start working for their success. Many of them but by no means all were retired and have time on their hands. At the Euro elections next year, if UKIP builds on its breakthrough last month in the county council elections, it could shape the outcome of the general election in 2015 and the local elections in Brighton and Hove which take place at the same time. While the main parties form policy to keep votes and retain their positions, UKIP have little to lose by being honest. It’s time for people to grow up. Accusing a party with gay, black, white, Muslim, Hindu and Christian candidates of being racist or homophobic is simply idiotic nonsense. “SCUM” “Nazi, racist”… they shouted at hundreds of decent minded people at a democratic meeting. A handful of Socialist Worker Party thugs, trying to viciously intimidate people including children and the elderly, some who had risked their lives to fight the REAL Nazi’s during World War II. Brave honourable men who are not extreme but who wish to vote for a new Party of common sense and fairness to all. The thugs by comparison were cowardly bullies, who I suspect might not have been so brave had THEY had to face armed German soldiers and tanks. Instead they shouted and screamed disgusting abuse very close to the ears of pensioners including an old lady with a walking frame (this shouting was excessively loud and included a high volume megaphone aimed at old ladies heads from feet and in some instances inches away). One or two Ukip members tried to explain that wanting to be free of EU laws and to limit immigration was entirely different to being against foreigners. Sadly they were unable to comprehend such an easy fact. One fairly pleasant young woman from within their yobbish ranks actually confided that she was appalled by the harassment herself! When some protesters got inside chanting scum again… Nigel Farage offered them a platform to debate with him. YES they were given the opportunity to speak but had nothing to say. They chickened out and it appears all they could manage was to chant “scum” and not to learn what the Ukip view REALLY is. They wanted to hang on to their ignorance lest they had nothing left to be angry and aggressive about. One of the yobs was dealt with initially by an old war veteran. Truly wonderful to see they yob reduced to a worried looking fool by an old hero. The yob made me feel ashamed of how our society can produce such unpleasant prejudiced closed minded arrogant pathetic erroneous bigots who are more than just being very, very misinformed and wrong, or anything else… but are quite simply massive hypocrites! Because although they hadn’t the brains to see it, THEY themselves were the nazi’s… without any doubt. Where were the Police? threatening behaviour is an arrestable offence, just try shouting the same words at Muslim meetings then you will be arrested. An emample of why the Police are largely held in contempt due to their pathetic lack of response. Sounds like a great meeting and as usual free of rhetoric and spin. As for the rabble who sought to disrupt it, I wonder who paid this particular rent-a-mob? “Why on the Ukip website has it been edited to exclude part where lady says only the English should be allowed to vote in a referendum”. Well G Barlow, perhaps because they considered it to be a steaming pile of nonsense? That might be as good a reason as any wouldn’t you think. Either one is registered and permitted to vote or they are not…. and Ukip have no problem with at whatsoever. Although we certainly would not tolerate (as the other parties), votes for convicted imprisoned murderers, terrorists, rapists and so on – because Ukip feel they have no democratic right nor moral right to effect laws. The number of Section 5 Public Order offences (Threatening Abusive or Insulting words or Behaviour withing the hearing or sight of a person likely to be caused Harassment Alarm or Distress thereby, were numerous : “Nazi, Scum” etc. ), but sadly the force of law was so ineffectual, given the numbers (20% cuts), it’s a shame the SWP rabble were not shown the full weight of the law with some arrests. I doubt if the several Police officers present even told the raabble to stop shouting their foul abuse, as it just went on and on and on. However the handful I spoke to outside after the meeting were behaving. Free speech is totally different to foul(and false)abuse. But throwing insults is about all such folk can do when faced with decent, disciplined and intelligent people who have nothing to argue with. I was at Hove Town Hall last night & can only commend Nigel Farage & his UKIP colleges for carrying on, despite some hooligan elements who have no regard for democracy & when invited to join the debate, had nothing other than jeers, taunts & insults to offer. How can you deal with such people who can’t even articulate what there grievances are without descending into mob mentality? UKIP stand for personal freedom & self determination; devolevement of central government with more power returned to local people & a withdrawal from Europe. Shame on those who thought to shout down democracy! After being engulfed in a huge wall of abusive prejudiced chanting of “RACIST, RACIST, RACIST”, I stood a bit closer and smiled at them and when I found a gap in the noise I managed to tell a handful of them that last Saturday I was at a Croydon Ukip training day where the Ukip chairman and half the Ukip members were black or Asian. There was a slight pause… then one of the yobs yelled “Where are your black people today then mate?”. My answer… “They are in the Croydon branch (not Hove) and may I ask where are yours???”. The clot then started looking all around at his associates as painfully slowly realisation crept onto his face that he had made a prize sausage out of himself. They were all white as the driven snow. Then before there was time to stop laughing at his humiliated expression, we both got drowned out by more chants of “Racist, racist, racist, racist” by the prejudiced mob. At that point I decided they were beyond all help or reason and went inside to attend the meeting. Yes I agree with you entirely. By the way, just so you are aware, there were plenty of police present so the expense was already covered. It’s just that they did nothing to protect law and order. Even just telling them to stand on the opposite side of the road would have been something – to warrant their salaries we pay. Excellent meeting !! UKIP is a party with common sense policies which fit UK requirements in the 21st century. The party deserves the support of all right thinking UK voters.. The clip has been changed from the one that was broadcast. That is what I am saying. If it is nonsense why was it broadcast in the first place? Mark, great comments about last night & well done for attempting a dialogue with the ‘conscientiously stupid’ – or the ‘sincerely ignorant’……..If only people bothered to find out what UKIP really stand for: Didn’t Nigel describe UKIP last night in terms of the Victorian Liberals under Gladstone……true free market Libertarians! For all those asking about the UAF, please google ” UAF finding members ” you will find the likes of Ken Livingstone, Diane Abbot and about 100 other serving or former MP’s MEp’S a fair few business leaders and a sprinkling from the music industry, those not named include MI5 and Special Branch, this organisation is funded and backed by the lot of them, their purpose is to eradicate free speech and democracy, if you are considered to be in danger of stopping the deceit from LibLabCon, Stopping the gravy train trough of the EU they will use any means possible to discredit you and show you in bad light, lies really are the nicer of this odious organisation. Just watch what happens in the coming months as UKIP increase in popularity. Why not email Ukip direct and ask them? Please be tolerant and remember ‘rent a mob’ members have an extremely limited vocabulary which goes with their occupation and equally limited intelligence. Lucy, one has to accept that rent a mob members are by definition limited in outlook, wit and vocabulary, thus they are also limited in their choice of employment! Mark, I might qualify my earlier comment about attempting a dialogue as well meaning, but ultimately futile & in any future such case you are better off ignoring them. They had the platform at Hove Town Hall – & not even an entrance fee – but still they could not intelligently engage in debate, proffering intimidation. They taunted free minded democrats with shouts of ‘shame on you’! Well shame on them………..they were a disgrace to democracy! Thank you for a sensible suggestion. I did have a quick look for an email address on the Ukip site before posting, but could not find one. I will have another look later. And so it starts, next will be agent provocateurs, followed by violent attacks against UKIP; whilst the Police just happen to be “elsewhere”. This confirms UKIP are correct, do not weaken. UKIP haven’t won any seats – parliamentary or council – in Brighton and Hove, just to state a point of fact. And under the present electoral system (which to their credit they want to change) they probably won’t. The main issue with UKIP is the rag-bag of contradictory policies they support, which seem to change according to the whim of Mr Farage. For example, he dropped the flat-rate tax plan like a hot stone when he realised it would be easily revealed as benefiting rich people enormously at the expense of middle income voters. In this respect UKIP actually resemble groups like the SWP – top-down policy making, just obey the ‘dear leader’. They also share a dangerously simplistic view of the world, albeit with different ‘enemies of the state’. At the end of the day Farage is an ex-public schoolboy who worked in a bank – who do you think he would look after he ever got into power? Any ex-Labour voters thinking of signing up for UKIP ought to read the small print very carefully. …but they HAVE got a dozen or more MEP’s. democratically voted by the British public to represent us in the European Parliament. Next year it is generally accepted that they will have more than Conservative or Labour. in fact Ukip also now have the support of a quarter of the Nation. If that inceases as predicted they could form the next government. Remember they laughed at Churchill when he said we need to be worried about European power grabbers. Nigel Farage is a dear and lovely man who is highly respected and admired by a vast number of Europeans who are now following Ukip and Britains lead. Ukip are very happy to encourage a European dream – Once the European nightmare is dealt with! To those protesters I say “know thine enemy”…it is a very old, very wise saying. They should have sat and listened and shut up. Then they might have something to actually say into a megaphone besides the word ‘scum’. UKIP appeal to emotions and popular gripes. I have yet to hear them talk costings. Delivering is different from promising and voters don’t pin politicians down of that they just vote on emotional appeal. Silly. It is only silly if we believe you that you are not silly and we all are. Personally, I’m not silly (well actually sometimes I’m silly) 🙂 Anyway my point is that I HAVE listened very carefully to both sides of the debate, I have analysed, even done my own costings. I hear what you say but PLEASE do not assume that our position is not very carefully understood. Britain pays £370million per WEEK!!! membership fee to the EU. We also lose billions more on other things which I haven’t the time to cover now. I suggest that if YOU wish to know both sides then go to a Ukip conference. There is one this Saturday in Surrey. Hmm, I wonder if you will. Anyway the costings are all very carefully worked out by the best experts in the country. Did you know for example that the cost of keeping a recidivist criminal in prison is actually less than the cost of letting him free to roam the streets. Police salaries, legal aid, judges salaries, hospital doctor nursing bills, insurance, criminal damage, victim support, (that is just a handful off the top of my head but it goes on. You are correct in one sense it is purely emotion which makes me furious when I read about for example an 80 year old pensioner being beaten black and blue or killed, THAT makes me look very, very carefully at how to stop it and gun and knife crime too. The only policy which will reduce this, is that of Ukip. Valerie that aint silly. I care so much about victims that is why I will be voting for Ukip. Anyone who doesn’t is either ignorant, or doesn’t care much for society. @)Mark – I can’t help thinking that one way or another you are going to end up very disappointed with UKIP. UKIP will undoubtedly do well at the Euro elections, just as they have since 2004. Since then, the UKIP MEPs elected have been a rum old bunch, including Kilroy-Silk, the woman who has just defected to the Tories, and two others who were later sent to jail (including, in this area, one Ashley Mote, who is well worth a search on google: he alleged that immigrants were more likely to commit crimes and then did his bit to redress the balance by getting sent down for housing benefit fraud). However, Westminster elections are not held under the same system as European ones, meaning that UKIP could poll as high as 15 percent of the vote and still not get a single MP. My prediction is that they might end up with five or six out of 650, if they are lucky. Regarding the EU and its EEC predecessor: since WW2 we have enjoyed close on 70 years of peace in western Europe. Looking at the last two thousand years of human history, this is unique and unprecedented. The EU has many faults, but we ought to remember this – and be very careful what we wish for. I won’t be disappointed my dear whatever happens and it’s nice that even you are predicting Ukip will have about half a dozen MP’s from the next election 🙂 that would be unprecedented in modern politics. We have to start somewhere, but I feel we will do better. You are not having a serious discussion mentioning the oddball we kicked out when the old parties have mainly odd balls the HAVENT kicked out. As for peace in Europe. You really beleive the propaganda – my gosh. lol. It is democracy that has kept “peace in Europe” NOT the pathetic undemocratic EU. The EU initially did nothing to help genocide in European wars in Yugoslavia a few years ago. It was ‘The English Speaking Peoples” who insisted and championed the rescue. To say the EU kept peace is like me saying in 1978 I put all my action men around the garden to stop there being a world war… and BECAUSE there hasn’t BEEN a world war – therefore it was my action men. Surely you can comprehend that the EU has done nothing but cause arguments and now misery poverty and violence in many EU countries. Winston Churchil warned us that Britain HAD to remain outside any European Union (which he was in favour of and happy with) but so we were independent to make our own decisions. How right he was if it was a genocide like Yugoslavia but in the future when the EU would have had even more control over us then we would not have been permitted to stop the slaughter of thousands of Muslims, as we did in the 90’s. It is utterly laughable to believe peace in Europe has anything whatsoever to do with the criminal EU who lose 100 Billion in fraud and theft every year. The Eurovision song contest has likey had more effect on peace and harmony than the dictatorship that is the EU which is riddled with ex soviets and criminals. And im not joking – the song contest and Its A Knock out genuinely did some good. Give me friendship and lets hold hands with nations – Please spare me the handcuffs! Mark: a dozen MEPs, and two end up in jail. Not a very good average, is it? All I did was point out that the long period of peace in western Europe (which does not include Yugoslavia, and which wasn’t in the EU when the conflicts happened) has coincided with the existence of the EEC/EU. I did NOT say there was definitely a causal link – you, on the other hand, have announced that there definitely ISN’T one on the basis of no sensible arguments. Bear in mind, too, that most wars are about economic rivalry – therefore it makes sense that an economic partnership arrangement just MIGHT have something to do with keeping the peace. And we might want to think twice before trashing these arrangements completely and hi-tailing it off to isolationist oblivion, as you lot would have us do. ‘The English Speaking Peoples’. Hmm. This raises another interesting point about UKIP, which is that that they suppose that there is some sort of special relationship between ourselves and the United States. As Geoffrey Howe said the other week, the US are very unsentimental about the UK, and regard it mostly as a bridgehead into Europe. Without that link we would be most likely be cast aside. You are right that the inaction over Yugoslavia was shameful, and I am afraid that this country was pretty much as bad as the rest in Europe. An example of how many failings ascribed to the EU are actually down to the collective failings of national governments. Clive I was on here posting about the yobbos. You seem to want a political debate on here and posted your political critisisms of Farage etc, which is fair enough. I do not really want to continue if thats ok.. I will respond out of courtesy and then we will have had equal correspondence since you first posted. I won’t go into much detail in the hope we can part amicably. I am aware of the geography of Europe and of the EU area, nevertheless the principle remains as I state in my previous posting. Ukip are against isolation including elitist clubs like the EU who damage the world. We are internationalist. This isolation thing is just a word. Lastly I would recommend you read more about our part in Yugoslavia if you think we were as bad as the EU. Ok theres plenty more but I’m resisting in the hope we can end it here. We have both had our say. Its getting boring and we won’t agree. Best wishes. The far-left UAF really are the modern day brown shirts. Absolute facists. They won’t be happy until they’ve turned the UK into North Korea.